This week has felt very long, and I am so grateful to have made it to Friday! The big girls passed their cough to Paisley, and that has been the worst! But even in the face of these colds, I know better weather and health is coming! And I still had a few favorites from this week! How sweet do my girls look in this sweet little pink tee?!? I bought this tee and gave it to John after we found out that we were expecting a girl (Lacie Jane) in 2011! Now all three Hilosky girls have gotten to wear it! You can read about our family's love of the New York Yankees by checking out my opening day post from last year! It's going to take a long time for us to get used to watching them play without Derek Jeter, but we will still be cheering them on all season! 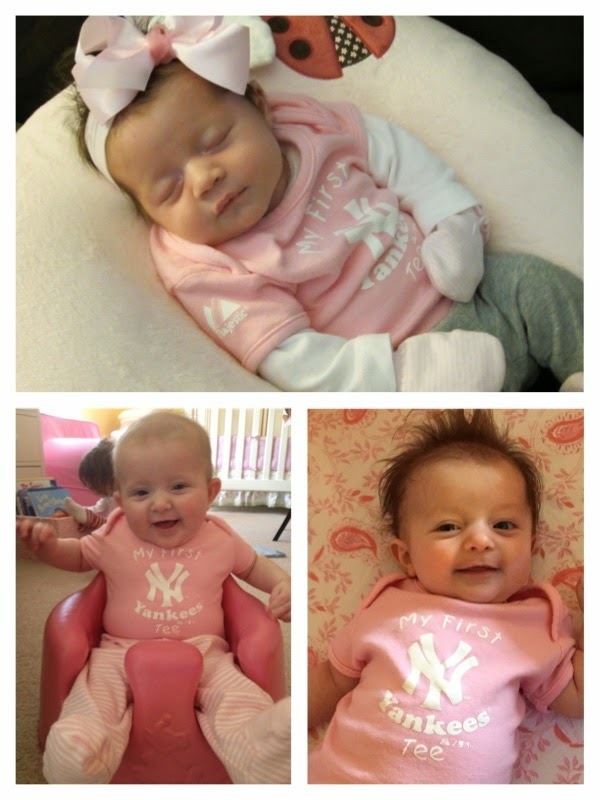 And if you are looking for some girly and kid inspired Yankees gear - check these out! I've started a tradition where every week one of the big girls gets to come to Wegmans with me and be a big helper! I started this because I felt that with the addition of Paisley, it was super important that they each get some one on one time with me! This week, it was Lacie's turn to go. She may drive me a bit crazy at home with her current state of "threenager" behavior but when we are out she is an angel (always). She loves going to the food store with me. 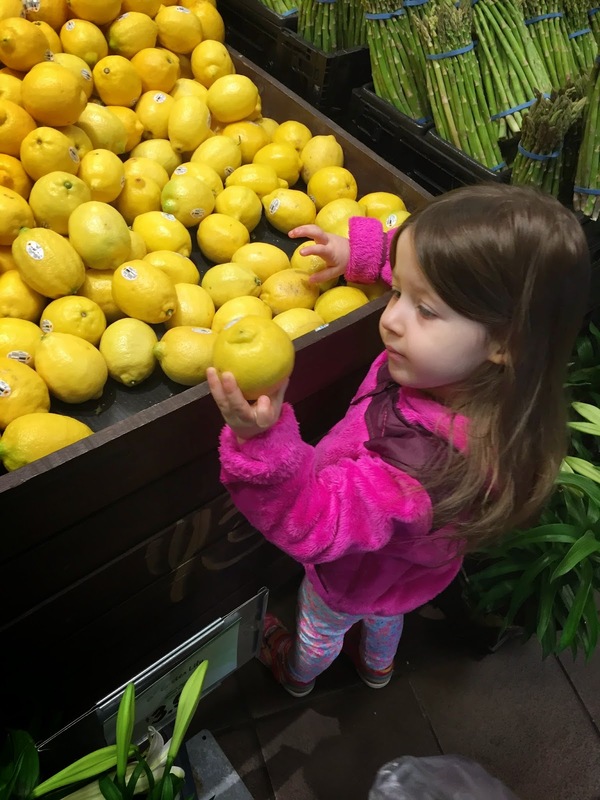 She could spend the entire time in the produce section, smelling all of the herbs and picking out fruits and veggies! She is my mini-me! 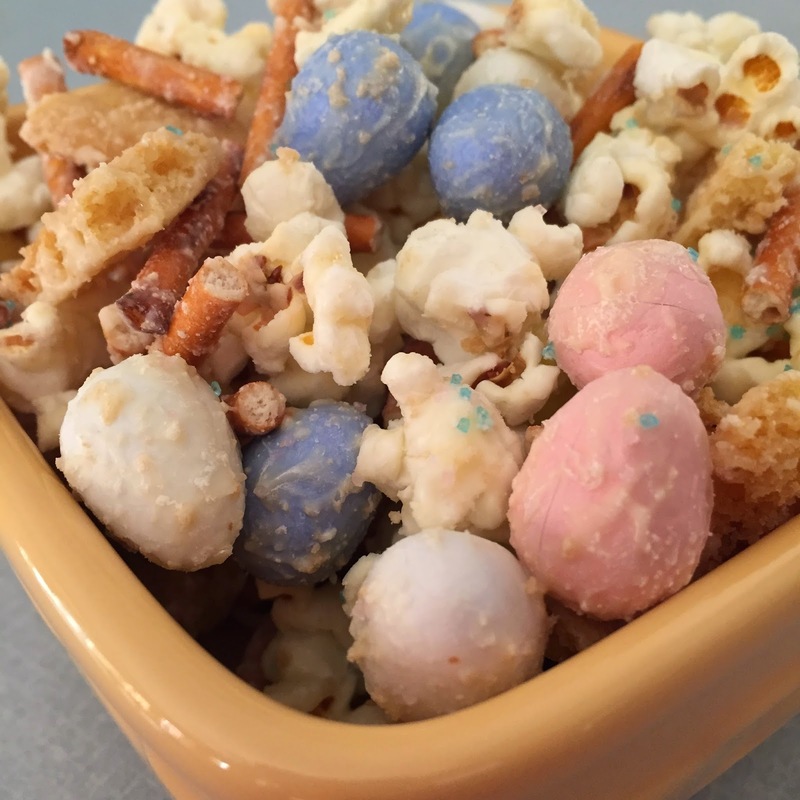 I shared this new Easter recipe using my very favorite candy - Cadbury Mini Eggs - earlier in the week! This may be my very favorite thing that I have made using these eggs to date! It was the perfect combination of salty and sweet! Go get those eggs before the stores sell out and they are gone until next Easter! 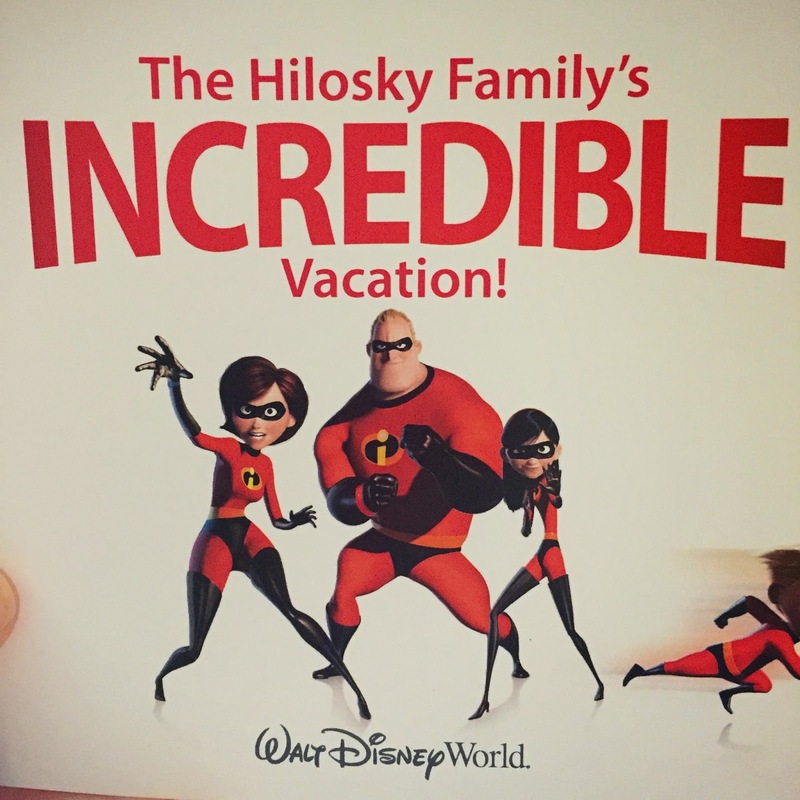 We have officially booked our very first Family of Five Vacation to Disney World! I couldn't be more excited to plan everything - especially all of the character meals for the girls! It is going to be a super princess vacation for my princesses! I'm starting my countdown now! More specifically the fact that I've converted John to a Shakeology lover! This has been his breakfast every single day for two weeks now! 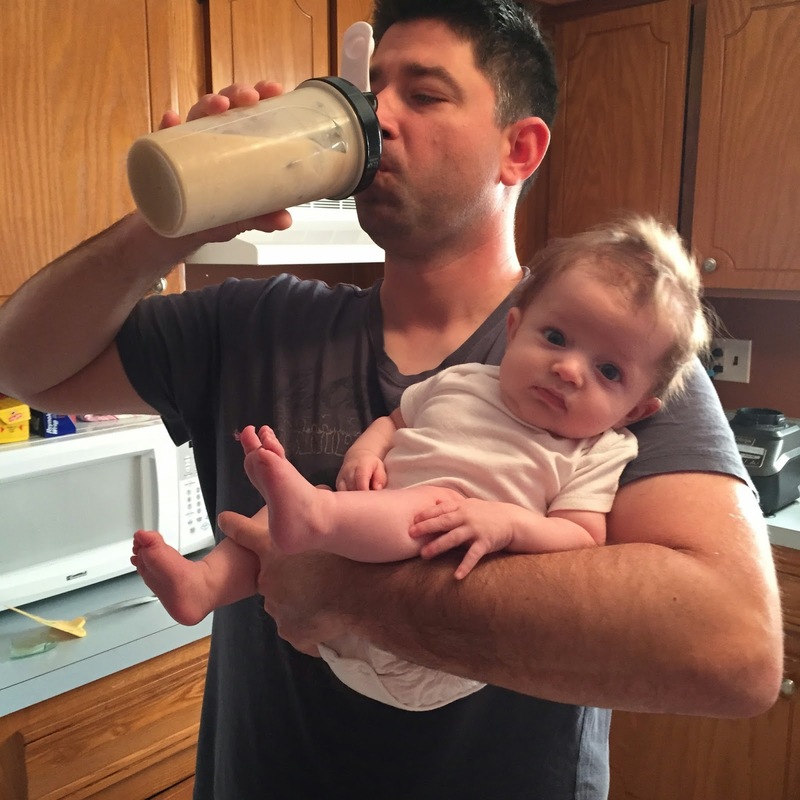 When I first started my journey of drinking Shakeology to replace breakfast everyday, John was very very skeptical! Now he is a believer too! I cannot say enough about how much this drink has changed my day. I get a really dense amount of nutrition first thing in the morning, and it gives me the energy I need to get through my day. It gives me more energy than coffee - and those are words that I never thought would come out of my mouth. If you want to chat about Shakeology feel free to message me or check out my beachbody website by clicking here!